Traveling this winter, we discovered the lovely town of Lahaina on the Hawaiian island of Maui and found the seaside downtown on Front Street. 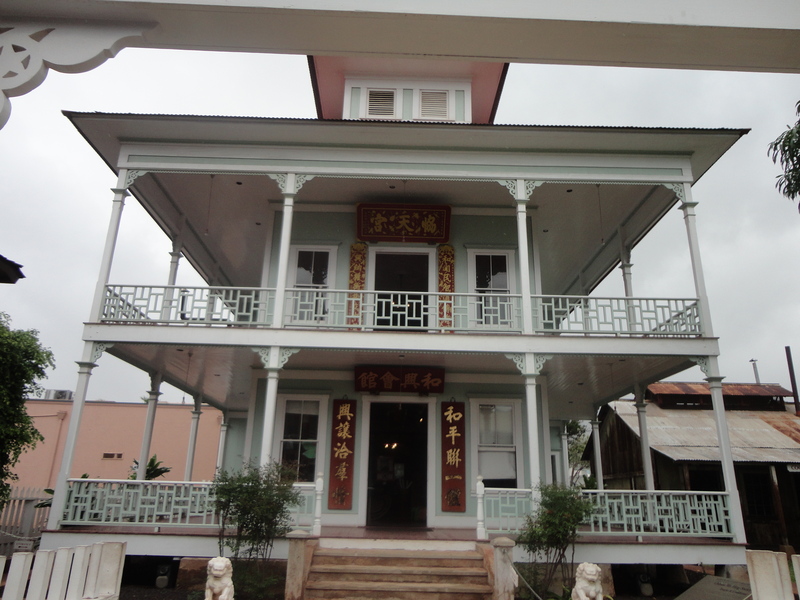 I was delighted to find the Wo Hing Museum, which served the Chinese population in the early 1900’s as both a temple and community building. Hawaii is a melting pot of many cultures and the Chinese that made their way to Maui were some of the earliest arrivals. The early Chinese arrivals worked in the plantations and sugar mills and helped build tunnels and irrigation system through the mountains. The Wo Hing Society was formed in 1909 then built in 1912 by a branch of the Chee Kung Tong which Horton wrote was, “popularly known as the Freemasons of China. The temple is located on the second floor and offers insight into the religious and community life in Lahaina. The temple served as the social hub for the Chinese residents of the Lahaina and in the 1940’s became a residence for elderly Chinese males. As many of the Wo Hing Society migrated to Oahu where greater work opportunities existed, the temple fell into disrepair until in 1983 when the Lahaina Restoration Foundation along with the Wo Hing Society restored the temple and today it operates as a museum. I enjoyed visiting and appreciated the chance to view the shrine room and attached cook house. The two-story building is quite lovely and provided a history I had not known about.